Discussion in 'Accepted Moderator Applications' started by BLiNX THE TiME SWEEPER, Apr 12, 2017. Other: Well along with applying based off of wanting to help keep the JB server plaied correctly and to stop rule breakers. I have background in running communities, along with running my own Trade servers at one point in time. Along with being a Manager and working at customor service, I have grown a tolorince to imature behavior, and I&#039;m able to keep a calm/collected mind. As-well I tend to be friendly, and funny when it comes to people on. With this I feel I can help change the way someone may feel (including angry) to a better outlook if something is going wrong. Heck even after a gaurd ban where to be giving. I would help the person do !rules, to show what they did wrong and now what to do with it. I have been on the server with @BLiNX THE TiME SWEEPER and suggested he should apply. I support this application. Overall great guy. Fun to hang out with. Knows the rules perfectly and even helps others when in need, so I'm not surprised he's applying. He's great for the position. Hope the best of luck for you Blinx! I have been playing with blinx for a long time and he knows the rules very well, Hes a great guy to hang with and i hope this application goes well. Ah, Blinx. The man, he's super friendly and has good unusual's. Pretty funny however I haven't really seen anything that would make you a good candidate for the job. I've never really seen you report anyone on the forums nor tell players the rules if they have broken them. Potential for now until I see some real over-the-top work. I also advise everyone to not upvote just because you saw wing upvote it, if you do not want Blinx as a member of staff then state your opinion. I will admit I have (in the past two weeks) have been informing rule breakers of the rules and asking they go on red or spec and do !rules before rejoining blue. As well informing players who try to give false orders or playing games that arnt allowed, that the rules state it's not ok.
On the report thing, I havnt two reasons behind why I don't do reports on the forums. ( I'm not using this as a excuse, just to inform why I don't) when making reports you must have tangable proof, mainly recording the problem if its voice spam/ free killing. I have Acer Asphire laptop. It struggles to run Tf2, recording brings me down to 12 FPS. Second I normally report all problems to online staff. It's tends to stop all the problems, and if no staff are online I can persuade the rule breaker to slay them self. All I can say mango is I do hope to prove to you I would make a nice added staff member. And all I can say is just watch over me and see if I do practice what I preach. As well I ask everyone to state how they feel about this, I wanted to do this to show wing if I would be a good member or not. If you feel I'm not right for it, feel free to speak up. I won't get angry, nor will I take it personal. After seeing Blinx in action, I've decided to support this application. I know you didn't want me to, but I feel you'll be a great moderator and use your powers wisely. Your quirky and know the rules, so I'll upvote your application. Thanks for applying! Active and knows the rules, has my support. @BLiNX THE TiME SWEEPER Thank you for applying to be part of our Jailbreak Server Staff. I accept this application. omg omg omg! @BLiNX THE TiME SWEEPER Congratulations!!! I've been waiting for this. 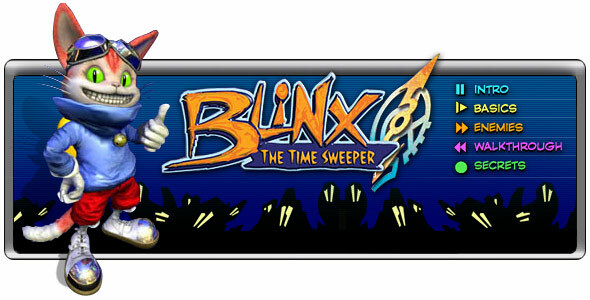 Congrats @BLiNX THE TiME SWEEPER! Congratulations Blinx. I hope you make IdleServer as great as before! Picked up everything VERY fast and seems to have a nice appeal to the server, very glad this one was selected. Congratulations once again, BLiNX.